Stereo / Electronics / Electrical If you have a topic that deals with the electronic components, stereo, etc. then post it in here. 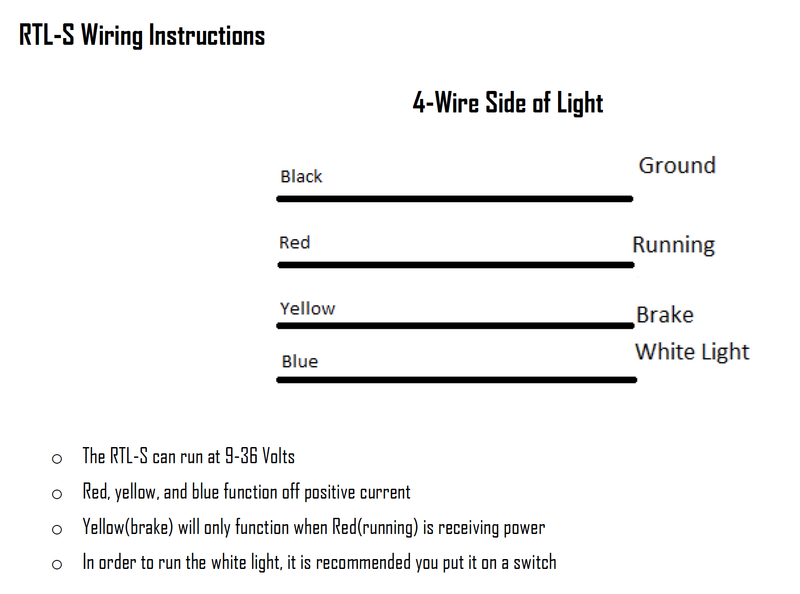 I'm mounting a Baja Designs RTL-S on the rear section of my Front Runner rack and need help with determining where I should tap into for 4 of the wires. I need to get running light, brake, left turn, and right turn. There are a total of 6 wires on the RTL-S, but the other two are ground and backup light which I'm wiring to a switch. Is there a place under the dash/hood where I can use an add-a-fuse, or should I try and tap off the feed that goes to the trailer plug? Appreciate any help. Thanks! I'd be tapping off the trailer harness for the running, turn n brake feed. My trailer plug has screw terminals ..so it made it easier to add a wire into the 4 slots and run the cable back into the cabin ..up and out. Assuming they led, 16-18 gauge is all you'll need, so its skinny enough not to bulk up alot. Question - The trailer plug has 4 wires, one of them being ground. I believe the other 3 are running/brake, left turn, and right turn. How do I separate the running/brake? I need these all to be independent of one another. Agree on tapping OE wiring, not something I'm a fan of either! But I don't follow how running and brake can be the same source.... running needs to be constant lights on, but not brake..unless there is a pulse module or a cap splitting .... in the line some where.... so do you have rear tail lights on the trailer ? for Running light, I'd set up a separate source ..perhaps..run a line from the drivers fuse box thru a switch - 1 or 2 amps should be heaps. Or if you had too... tap an instrument switch light on source and go thru a relay... but you'll still need a power source for the relay from the fuse box. 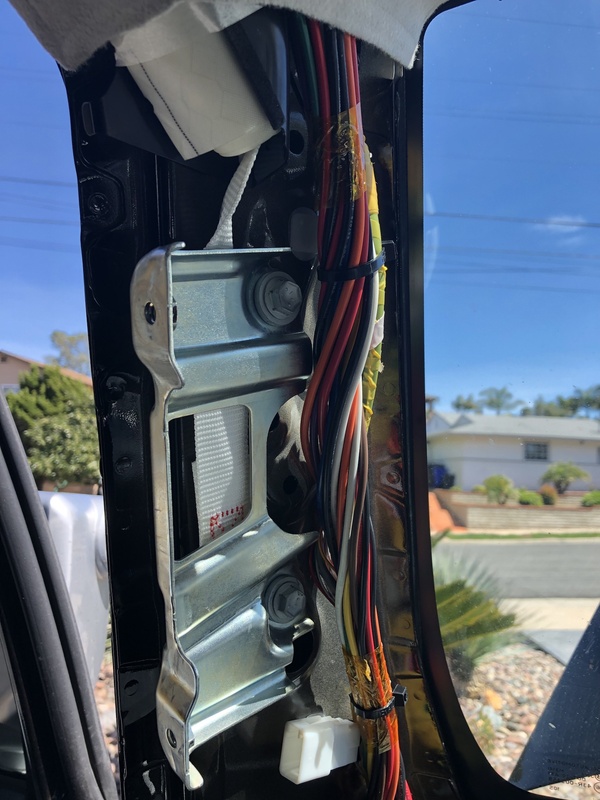 I did some additional reading and found there's a "converter" on US Spec FJ's that's located under the dash on the driver's side (see this post: https://www.fjcruiserforums.com/foru...rtor-plug.html). 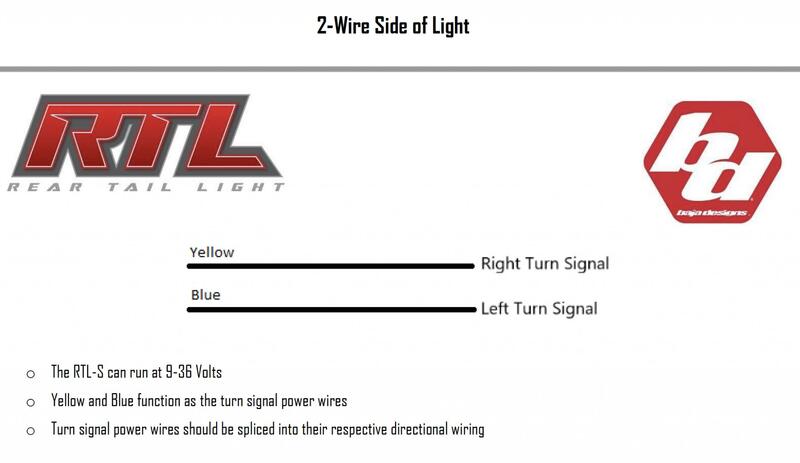 This is convenient, as the wires for the RTL-S light are running down from inside the A-Pillar on the drivers side. 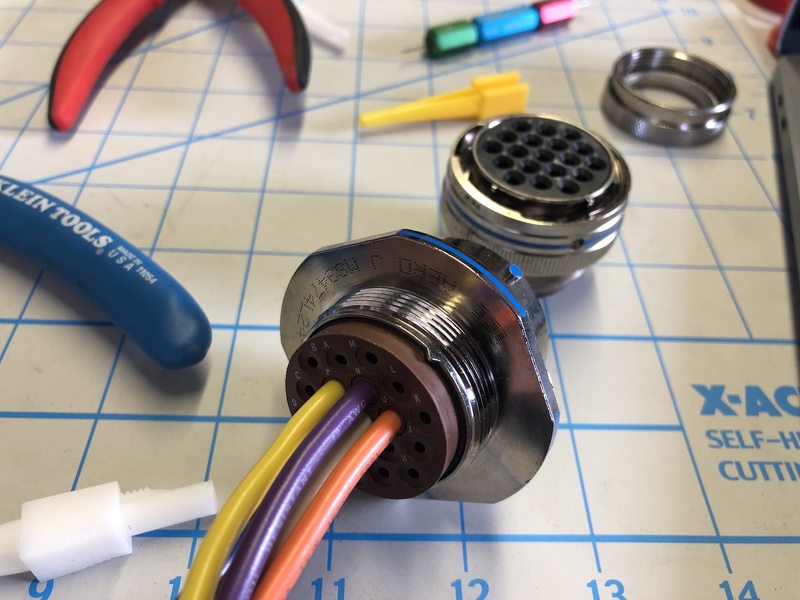 I may look into this and see if there's a way to create a jumper harness in between the converter and the incoming plug. 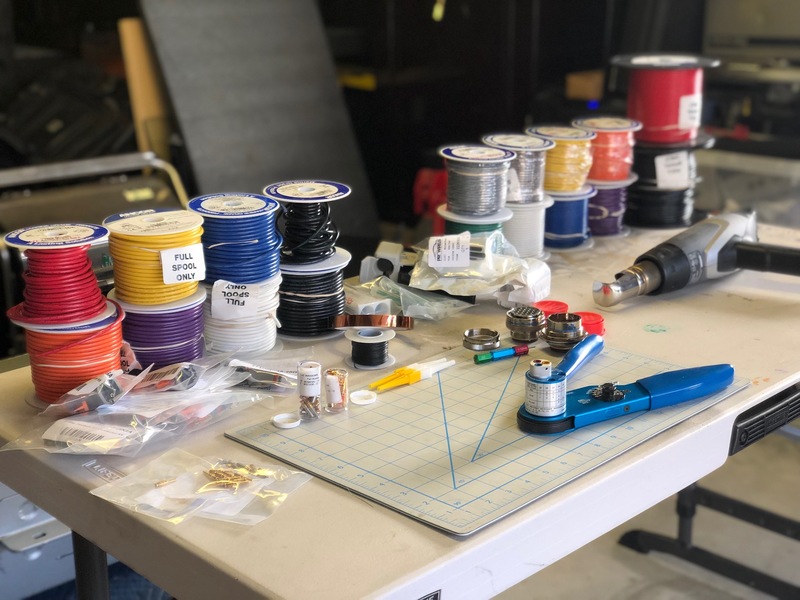 In case you're wonder why the wires are in the A-Pillar, I installed a mil-spec connector that has 19 wires (Seven 12GA, Twelve 14GA) to run various lights, my solar panel, and provide power to my Camp King RTT. I only had to drill one hole in the roof and this thing is weather/water proof. Can't wait to get this all finished! sonof40, bazross and FJQueue like this. Well I found today that I can get left turn, right turn, and running lights off three separate circuits on the trailer plug. The brake is a pulse that's sent with the turn signal. I can't tap that wire otherwise it'll cause the running/brake lights on the RTL-S to turn into turn signals. Any other ideas on where I can pull a brake signal from without having to T splice the OE wiring? Thats a nifty mil plug...I've often considered using similar .... haven't done it yet... lol..
All good, I'll figure something out. Thanks Baz! I went to the dealer today and they broke out a catalog of plugs that showed them by various pin sizes and the specific layouts. I found the one that matches the pigtail which plugs into the trailer converter box. It's part #90980-11535 and is a 9 Pin Female non-waterproof plug. I then asked if they could find the matching male 9 Pin plug, which they could not. So I got to thinking, what about pulling apart a trailer converter box that's part of the OEM hitch package (where the female plug connects to) and seeing if I could de-solder the male connector from it. I got the part # off the converter (08940-35820) and it wouldn't show in Toyota's part system. I then found that this part is not sold individually and is sold as part of a larger kit that has the pigtail at the rear of the vehicle that connects a round 4 pin connector and converts it to a 4 pin trailer wire. This kit is part # 08921-35870. I figured I can order this or try to find the replacement converter alone on Ebay or something similar. I'm going to tear into the one that's currently installed on my FJ and see if I can make use of the plug. If so, I'll be able to create an adapter that allows me to tap the signals without tapping into OE wiring. If not, it's back to square one! What a pain in the a$$ to do this clean and right!